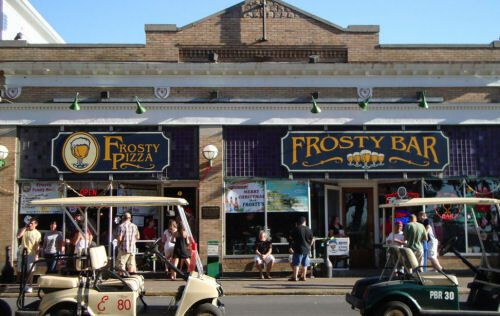 To commemorate your icy cold beer and delicious pizza, the Frosty Bar gift shop offers a variety of products bearing the well known Frosty's logo. T-shirts, mugs, hats, and golf balls are but a small description of all there is to offer in this shop. Take some Lake Erie Island flavor back home with you with a Frosty Bar gift.